Shar Murphy, who is passionate about people, books, and life-long learning, is a graduate of Montana State University where she has a bachelors of arts in the social sciences (economics, history, political science, and psychology), library science, and earth science. Her masters of library science is from the University of Arizona, Tucson. 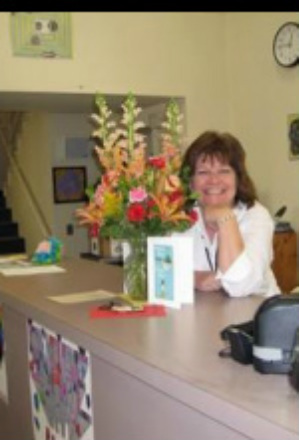 She began her professional career as a high school librarian in Billings, Montana, and eventually moved to Helena, Montana, where she served as a public children's librarian and later as an elementary and then middle school librarian. Shar returned to Billings where she served two rural K-12 districts and then became the assistant library director at Rocky Mountain College. A warmer climate brought her to Northern Nevada where she once again began working with children and young adults. In addition to teaching and library work, Shar has advised Academic Olympics, National Honor Society, and Poetry Out Loud, and coached speech & debate and soccer. Blissfully married, Shar is blessed with two married children, including one granddaughter, who reside in Montana. Time away from school is spent with family, friends, books, libraries, and traveling. Murphy, S. (2005). Idaho connections. Billings, MT: Northwest Speaks. Thayer, T., and S. Murphy (2007). Discovering tomorrow through yesterday: Montana history. Billings, MT: Northwest Speaks.